Stainless steel keeper with polyamide finish. Used as a standard for all your gates (garden, ornamental, industrial,…) The unique Quick-Fix mounting ensures a fast and strong installation. 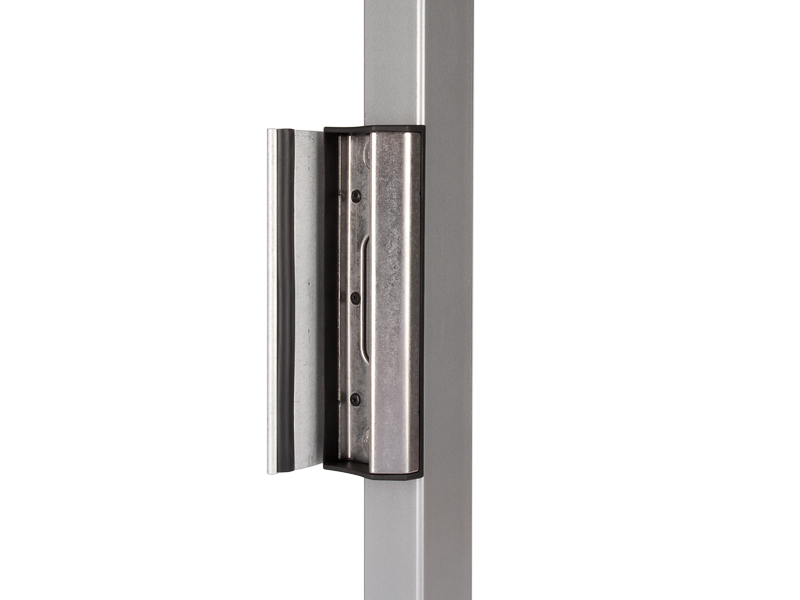 The adjustable, aluminum stopplate with rubber accepts different gateprofiles (1-1/2” to 2-1/2”). Redesigned to make the latchbolt fall into the keeper easier.